← 3 Ways to Change a Life: Give food. Give shelter. Give hope. Jason had been living in the woods for five months before he connected with The Path. 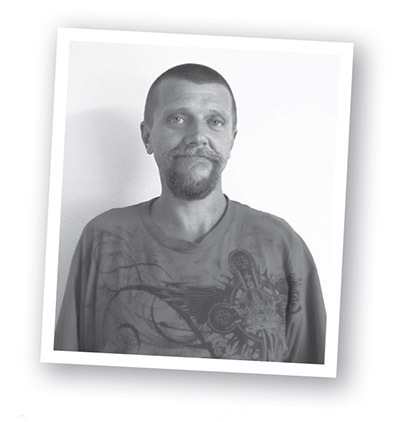 Addicted, suicidal, severely underweight — and very hungry — Jason needed a good meal. And the healing only Jesus Christ can give. Jason (name changed for the protection of privacy) arrived at The Path for a meal and a safe place to sleep. Soon, he was working at The Path Farm and in our stores, and helping out in the food pantry. Will you make an online gift right now to help provide meals and renew hope this summer? For people in crisis, a summer day is just like any other: struggling to survive and make ends meet. There are no vacations from homelessness, poverty and hurt. That’s why we are so thankful for friends like you, who support The Path all year long. And over the next three months, you can open the door of hope to neighbors who are desperate for a fresh start. Take The Path’s 2015 Summer Challenge. Commit to helping our poor and homeless neighbors once in June, again in July and once more in August. See how a simple gift each month provides practical help and lasting hope for real people like Jason– hungry and facing hard times. Will you take The Path’s 2015 Summer Challenge? Simply give online today! Thank you for helping to provide good food, safe shelter and compassionate care to hurting neighbors.